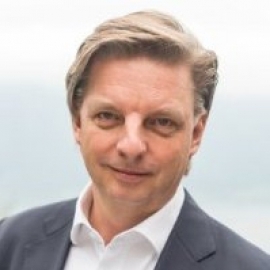 Klaus-Michael Christensen is President and co-founder of Swiss Impact Investment Association. Klaus-Michael envisions that “Impact” will become the third standard criteria for taking investments decisions in the future, alongside risk and return. Klaus-Michael Christensen recently headed the Independent Wealth Managers department at Coutts & Co. Ltd and worked for Lloyds TSB & Co, and Rothschild Bank AG. Before entering banking, he was an entrepreneur founding several companies in IT, Finance, Healthcare, and Retail. He studied Economics and Finance in Boston, USA. He lives in the Canton of Zug since 1989. SIIA is a non-profit organisation in Zug, Switzerland, that promotes investments for a better world, aiming to bridge impact with finance, through conferences and networking events. SIIA envisions a future where investors select investments not only on the basis of return and risk but also by their impact on societies.